Sowing Trillium's and other hard to grow seed. Home→Sowing Trillium’s and other hard to grow seed. 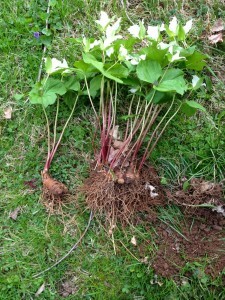 Sowing Trillium’s and other hard to grow seed. The link below was a nicely written article on dividing Trillium. I happen to disagree with the timing and had a few minor quibbles, but I have a far greater concern that this will lead to plant poaching from public or private lands. 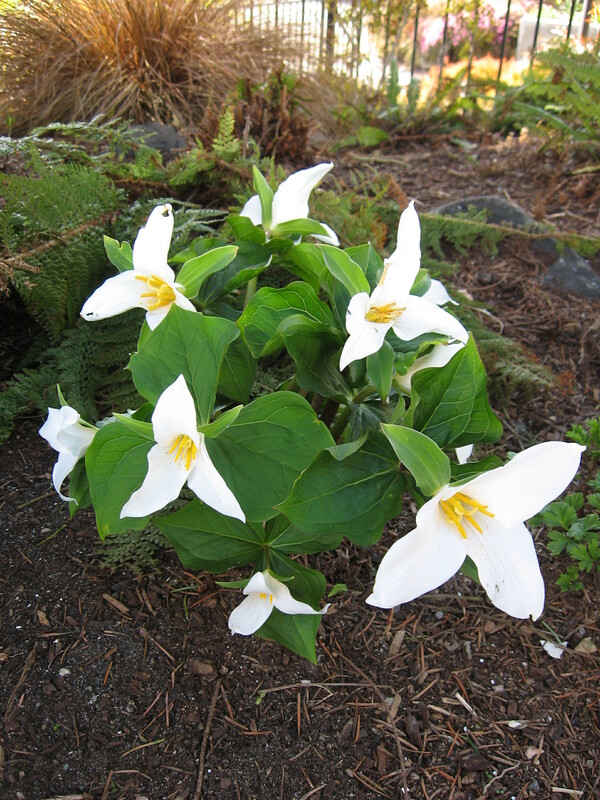 The best time to divide Trillium is in late summer or very early fall, not when they are in active growth or worst of all in bloom! I generally grow most of my trillium from seed and from local in garden patches. Such plantings are easily marked for later division. Hydration is important and taking divisions after some moist days is always a good idea. (hydration issues before and after) Generally speaking dividing or taking cuttings of any plant is best done in the morning when the plant is fully hydrated, not in the late afternoon when moisture content has declined. The article shows the plants in full bloom. It this is done, it is imperative to removet the flowers so the plant does not continue to go to seed. This was not mentioned! I de-bloom nearly all plants I buy or divide. Soil preparation that includes humus or leaf mold should be done ahead of time so the plants can be plopped in as quickly as possible. Overcast conditions would be a good thing. My concern is that most gardeners would know where their clump is, or if in a neighbors garden a photo or tag would easily ID the location. This description of taking divisions while in bloom may actually lead to further collecting of these plants in the woods or timberlines both private and public. I live next to the Olympic National Park in WA and could tell you horror stories about people absconding with native plants. The picture came from the above article. I grew much of my own collection from seed and have a word of caution on this. This should only be done only with FRESH seed collected or purchased beginning in June. What you buy as “fresh” seeds on eBay is last year’s seeds. Be it Trillium, Gentian, Hellebore you may be easily waiting for two years for germination! 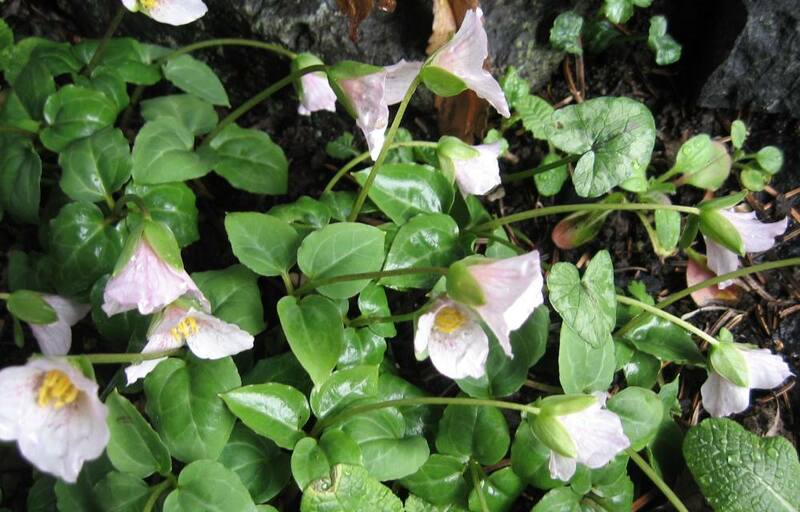 Trillium seeds or Hellebore needs that winter dormancy period, so if you opt to do attempt this, quit buying last year’s seeds. Sow your fresh seed as soon as it arrives in a peat or soil based compost in small seed trays or pots. Scatter the seed on top and then cover with a layer of fine grit or perlite. Leave out in the open, but consider to protect against wildlife having a scratch around by covering with some wire netting or similar. Recently I lost three flats of primula auricula to mice! You can also cover with another pot or seed tray of the same size. Always keep the seed flats from drying out and watch out for mice as they are rather partial to the seed or corms even if covered with snow in the winter. Wait until there are two fully opened leaves before pricking them out into small pots. Bring into a cool greenhouse or cold frame. If not, just leave the pots in a sheltered place in the garden, (with protective mesh for varmints) They will survive normal frosts but dehydration from sunny dry cold weather can have an effect. Keep hydrated. Plant out in the garden the following spring when big enough. They will do best in semi-shade and like quite rich soil so add some humus or leaf mold when you plant them out. If you start doing seed queries – begin your search in June or July. The earlier you sow fresh seed the better the germination and timeliness of the seed to survive the coming winter. The same holds true for Corydalis, Dicentra and many more delectable plants. Today, I am eying a friends miniature Trillium rivale ‘Brook Wake Robin’ that only grows a few inches high and I finally remembered to take a take a photo! I will be getting some pieces of this plant later this year. In the meantime meander through this photo gallery of these beautiful plants.